In his State of the Union Address, President Obama invited “anybody [who] wants to dispute the science around climate change . . . to have at it.” On Feb. 9, the court upheld a delay of Obama’s war on fossil fuels, which is supposed to “stop climate change,” in the form of new restrictions on factories’ greenhouse-gas emissions. Apparently, a majority of the court is less confident of the “science around climate change” than Obama is. It turns out that top scientists and government agencies have for over 100 years been concerned, even terrified of the coming of global cooling and the next cyclic mini ice age. 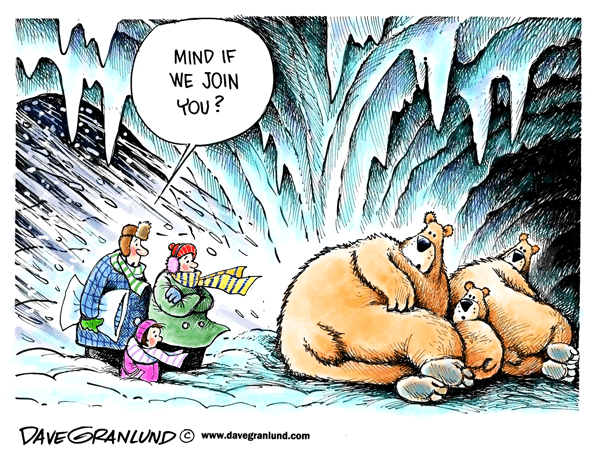 Unlike the dire predictions of the global warming, another major cooling cycle could be a disaster for mankind. While people and animals tend to thrive in warm climates, and warm climates result in longer growing seasons for plants, a major cooling would have disastrous results. The good news from NASA is that February smashed a century of global temperature records by “stunning” margin. The unprecedented leap led scientists, usually wary of highlighting a single month’s temperature, to label the new record a “shocker” and warn of a “climate emergency”. Hysterics aside, NASA knows (since 2006) that the long-term prediction is for cooling because solar activity is diminishing. If in fact we do have some warming, due to human activity, which the government insists is happening, then this is in fact good news because we will have a head of steam (warmth) as we go into steep declines in solar activity and a mini-ice age that is predicted by many scientist to result from that. 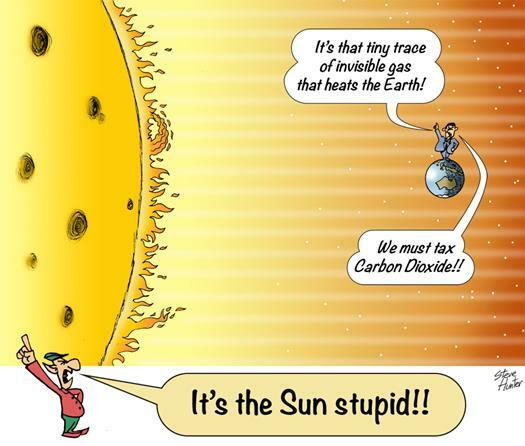 The governments around the world know what is going on with the sun but only a few are willing to be honest with their citizens. The Earth is about to begin a steep drop in global temperatures off its present global temperature plateau. This plateau has been caused by the absence of growth in global temperatures for decades, the start of global cooling in the atmosphere and the oceans, and the end of a short period of moderate solar heating from an unusually active secondary peak in solar cycle #24. The current level of activity of solar cycle 24 (SC24) seems close to that of solar cycle number 5, which occurred beginning in May 1798 and ending in December 1810 (thus falling within the Dalton Minimum), says meteorologist Anthony Watts. As suspected NOOA (and now possibly NATO) have been lying about these past few years being the warmest in history and thus we find that approximately 300 scientists, engineers, economists, and other climate experts sent a letter to U.S. House Science Committee Chairman Rep. Lamar Smith (R-TX) in support of his investigation of the National Oceanic Atmospheric Administration (NOAA). They think NOAA scientists have violated federal laws when they published a 2015 study purporting to eliminate the 15-year “hiatus” in global warming from the temperature record. The 300 letter signers included 25 climate or atmospheric scientists, 23 geologists, 18 meteorologists, 51 engineers, 74 physicists, 20 chemists and 12 economists. Additionally, 150 signers had doctorates in a related field, one was a Nobel Prize winning physicist and two were astronauts. A long list of scientists have published studies in 2015 all supporting the premise that the Earth’s climate is driven in large part by natural factors. Even penguins are having a problem not with global warming but increased cooling leading to increased ice at the bottom of the world. Ice growth combined with a colossal iceberg the size of Rome has left a colony of Adelie penguins landlocked. The penguins used to live near a large body of open water, but a huge 1,120-square-mile iceberg and fast ice expansion has forced them to trek 70 miles for food. An estimated 150,000 penguins in Commonwealth Bay have been killed. In February 2016, the sun was well below normal in activity, just as was the case for the previous several months. The observed sunspot number (SSN) was 57.2. The mean of previous cycles 1 to 23 for this month into the cycle is 80.8. This means last month of cycle no. 24 was only 71% of what is normal. As temperatures plunged across the Northeast in February, the wind chill at Whiteface Mountain near Lake Placid dropped to a body-numbing minus 114 degrees. Breaking 117-year-old cold records. “Life threatening,” says National Weather Service. Meanwhile, our leaders prattle on about “global warming”. Massive blast of Arctic air from the Plains to Florida to Maine. “This is an extremely dangerous situation,” says announcer. “People are urgently being warned to stay indoors.” The temperature in Buffalo could drop to 30 degrees below zero F. Other places could see 50 degrees below zero. The National Weather Service has issued wind chill warnings for a large portion of the Northeast and New England, saying “life-threatening” cold conditions will be possible. In Boston they just had the coldest Valentine’s Day ever. According to the National Weather Service, Boston temperatures dropped to minus-9 F (-22.8 C), making this the coldest Valentine’s Day in the city since 1957. Today’s temperatures are expected to reach a high of 10 F (-12 C), likely setting a record low high for the day. Worcester also set a record low of minus 16 F (-26.7 C). The mercury plunged to 1 degree F (-17.2 C) at JFK International Airport on Sunday, shattering the old record of 4 degrees set back in 1979. Not only the coldest Valentine’s Day on record in Central Park, it was the coldest morning of any month since Jan. 19, 1994, when the low dropped to -2 in Central Park. Just what we would expect when things get warmer! In Oshawa, the temperature dropped to -27.1, easily breaking the old record of -25.6 set in 1887. Toronto’s minus 26.3 beat the -23.2 set in 1979, while Colburg’s -26.4 beat the -24.1 figure set just last year, in 2015. Toronto’s -26.3 was not only the coldest February 13 on record, it was lowest temperature recorded in the metropolis on any date since January 16, 1994. Airports and highways were closed as the worst cold front in decades hit several Chinese provinces. The temperature in Genhe City in northern China’s Inner Mongolia Autonomous Region dropped to minus 47.8C on Thursday, nearing its historical record of minus 49.6 degrees. Mexico is having its coldest winter in its history. The situation is particularly worrying in the north, where the thermometer reached the -17 ° C mark. In Mexico City it snowed in January, a phenomenon not seen in the capital since 1967. The snow and cold forced the government to declare a state of emergency is declared in 24 of the 32 states in the country. 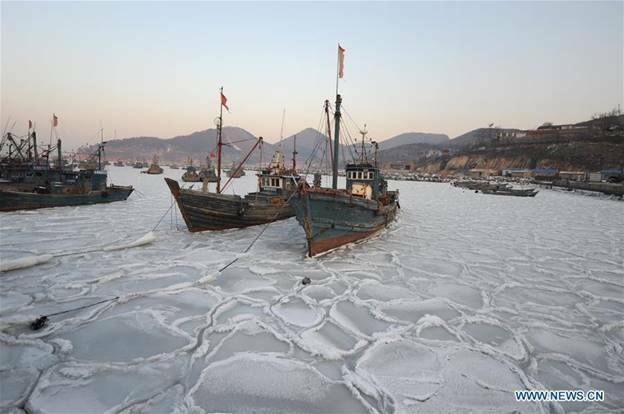 Unforgiving cold in the north of Vietnam has killed more than 50,000 cattle and poultry, according to newspaper reports. This includes more than 9,000 animals and 43,000 poultry. 29 Jan 2016 – Snow fell on Kuwait on Thursday morning for the first time in the country’s history. In the Krasnodar region and Adygea in southern Russia on the nights of 13 and 14 March the ground froze and air temperatures dropped to -1, -2 degrees. The freeze poses a risk to early blossoming apricots and plums. Morning frost could also endanger emerging winter wheat seedlings. In Mongolia, animals are dying in mass from a brutally cold winter. “This winter is the harshest I have experienced,” said Bayankhand Myagmar, 50, who has already lost 400 of her 700 animals. There is no such thing as climate denial. We live in a world of constant climate change. We are experiencing violent climate change and for sure, it has been snowing like mad all around the northern hemisphere this winter. Out of nowhere, California is being saved from its drought with incredible amounts of snow. Snowfall blankets Guadalajara Mexico for the first time since 1997. In Mexico, they are having the coldest winter in recorded history.